I actually found less books with pretty blue spines on my shelves than I had expected but surprisingly I liked all of them – except „The Ask and the Answer“ which I haven’t read yet but am going to start soon. 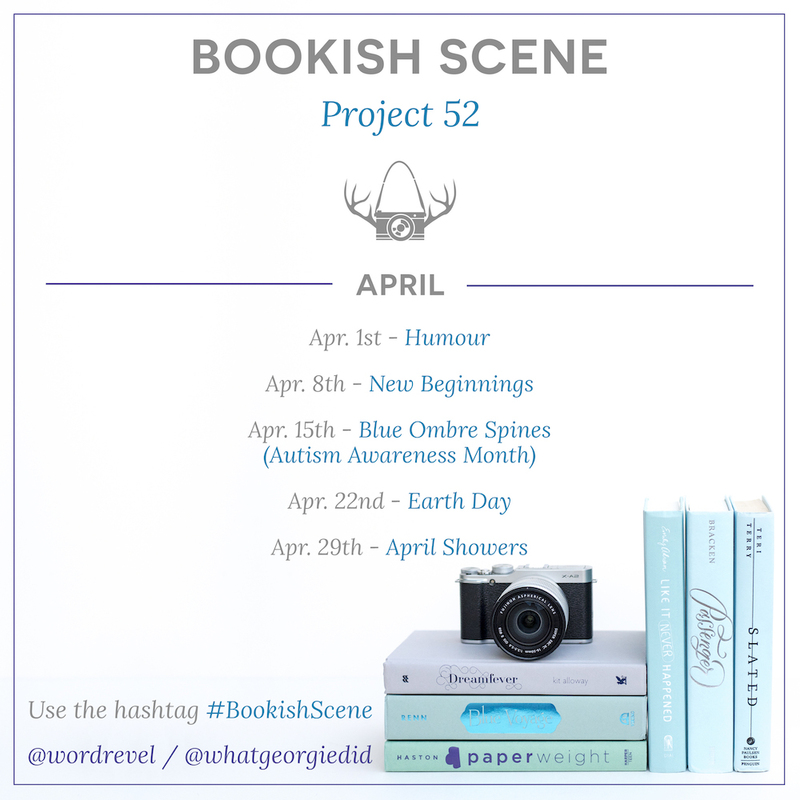 BookishScene: Project 52 is a bookish Instagram challenge hosted by Joséphine (@wordrevel) and Georgie (@whatgeorgiedid), Further information can be found on both their blogs where you can also see a preview of the upcoming themes. I was trying to think of books with autistic characters, and the only one that immediately came to mind is „Extremely Loud & Incredibly Close,“ which I read years ago and loved. I can’t remember it well enough to say if you’d like it. Then I found a Goodreads list that includes The Millennium Trilogy. I wouldn’t have thought of it on my own, but I guess it does qualify. „The Rosie Project“ is also on the list, and I think you might like that one if you’re ever in the mood for a contemporary (or if the audiobook narrator is good ;P). The MC is a bit like Bones. Usually I associate autism with the TV show „Parenthood,“ and I’m also not entirely sure how accurate it is. Oh, I’ve been thinking about reading „The Rosie Project“ when there was this hype about it but of course didn’t in the end, but I would definitely give it a try some time if you say it’s worth reading. I’m pretty sure the Millennium trilogy is on the list because of Lisbeth? Have you read the sequel to The Rosie Project, too? I didn’t think about it while reading, either, but I guess I see how you could make a case for it. I heard too many bad things about the sequel, so I skipped it. I didn’t realize „The Rosie Project“ wasn’t a standalone when I read it, so I wasn’t left expecting more.